Spooktacular! 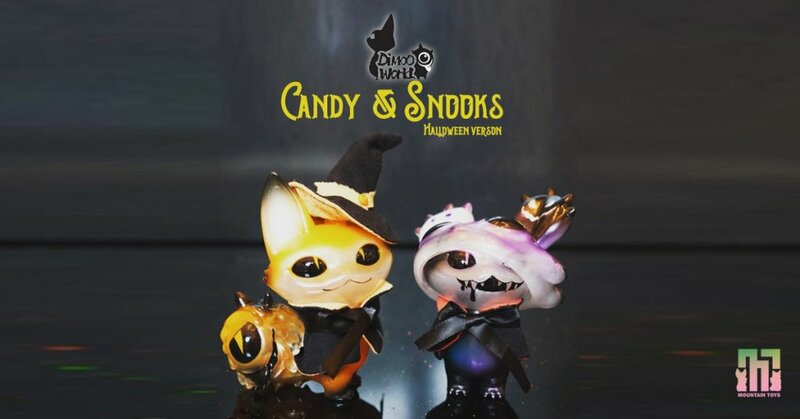 Right outta the blue Mountain Toys Dimoo World are offering international collectors the super limited edition “Little witch and little vampire” editions of Candy & Snooks all ready for Halloween and a spot of Trick or Treating! We actually got the pair and really pleased with them, glad to see another release on the way. Each one accessory/monster Minimon & Mr.Worm could be a release themselves they are that great of a design. Anyway getting back to Dimoo World release these are seriously limited 5 pcs Candy & 5 pcs Snooks with blind bag, so all are random. Be quick to enter the lotto to buy them as the Lottery will be closed at Oct.31 23:59 EST. Find Dimoo World on Instagram.